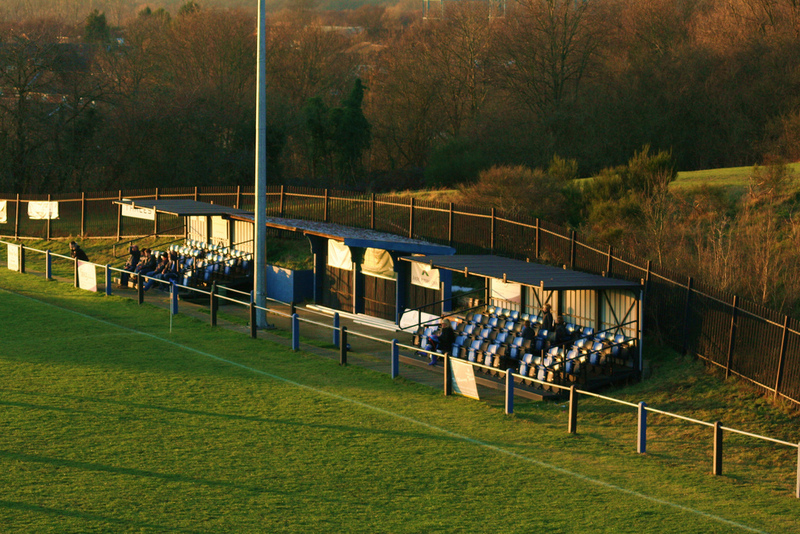 About Greatness Park Sevenoaks Town’s ground cannot be any less rural if it tried. 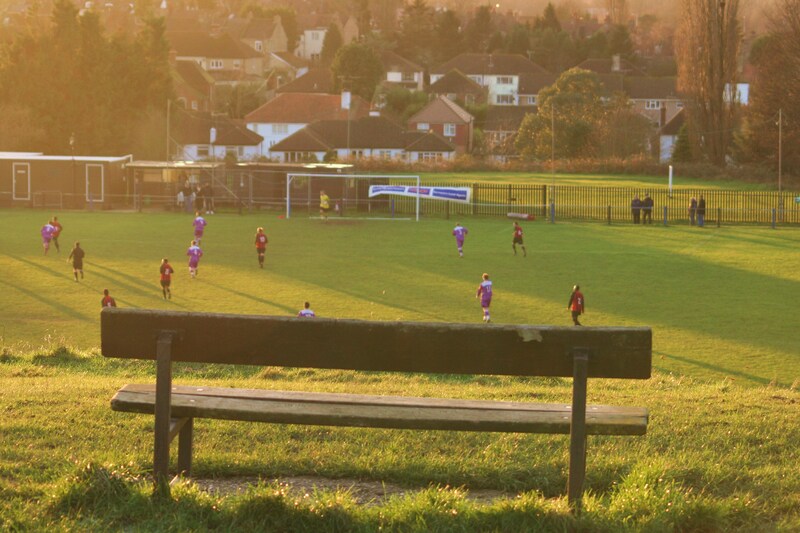 It is located in the middle of a public open space with a hill around two sides offering fine views of the ground (and the game). 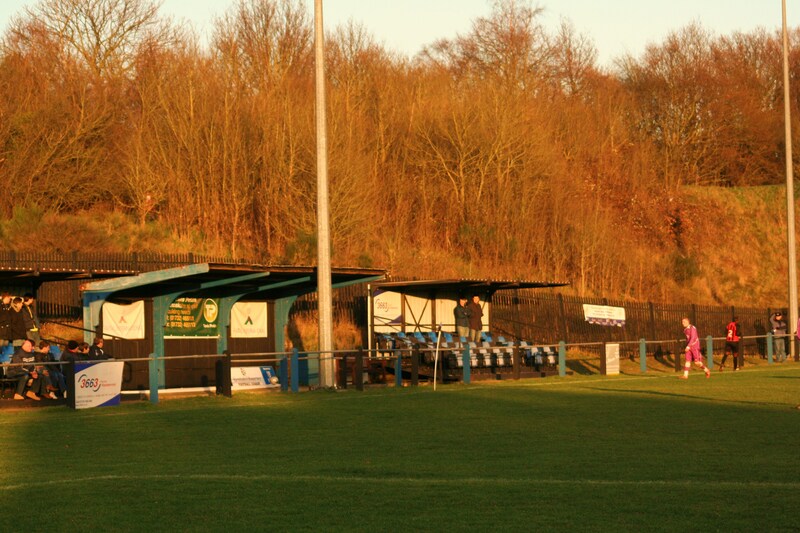 They have slowly but surely added all of the required elements to the ground to meet the stringent ground grading criteria with new(ish) floodlights, two small stands and a tea bar within the ground. How to get to Greatness Park The ground is located to the north of the town centre just off the A25. From the M25 exit at Junction 5 onto the A21 and then almost immediately take the turn off for the A25 in the direction of Riverhead. Continue on this road for two miles, passing the junction with St Johns Hill. When you pass a Shell garage on your left hand side take the next left into Mill Lane for the ground. There is a small free car park there. The nearest train station is Bat & Ball which is 5 minutes walk away. Exit station into Chatham Hill Road, then turn left onto Seal Road and follow. Mill Lane is next left after the Shell petrol station. Admission to Greatness Park Entry is £6 for Adults, £3 for Concessions and free for Under16’s. Match programmes are sold on the gate and are 50 pence. Our last visit – January 2012 With the Lewes v Horsham game all done by 2pm, and my agreed ETA back at TBIR Towers 5.30pm I had a few options as to where I could lay my hat for the afternoon. My initial plan was the Kent derby between Landlords Sittingbourne and tenants Maidstone United at Bourne Park but bloody Sunday drivers on the A26 up through Tunbridge Wells meant I was never going to make that. A quick look at the great non league fixture computer in the sky (i.e Google) threw up one real alternative – Sevenoaks Town v Greenwich Borough I have become quite a fan of the Kent Premier League in the past few seasons, primarily because it is local. In some instances, such as Cray Valley, Erith & Belvedere and Holmsdale I can even cycle to games. However, a cycle down (and thus at some stage, back up) the North Downs wasn’t too appealing so I had the perfect opportunity to visit on this trip. Sevenoaks Town have been knocking around for nearly one hundred and thirty years. However, it wasn’t until 2003 that they joined the ranks of the Kent League. Since then they have expanded their ground, located in the picturesque Greatness Park to the north of Sevenoaks to fulfil all the grounding requirements known to man. Floodlights, smart new changing rooms, a couple of little stands and a decent tea bar. All ticks in the boxes. Sevenoaks is a nice place. In fact last week it was voted 5th in “We have more million pound houses in a single road than you” competition. Alas the original Seven Oaks, located around the Vines cricket ground were blown down (bar one) in the 1987 great storm although today they have planted some more – in fact eight more although there are no plans to rename the town as Nine Oaks. It was here, the grounds of Knole Park, that the Beatles made the films Strawberry Fields Forever and Penny Lane (today called “pop videos”), as well as being here where the brothers Phil and Paul Hartnoll were born and spent their time close by watching the cars on a new fangled road called the M25 that inspired the name of their group, Orbital. Sevenoaks Town 1 Greenwich Borough 0 – Greatness Park – Monday 2nd January 2012 I arrived with barely a minute of the game gone thanks to a learner driver who was being allowed to drive at 10mph along the Tonbridge bypass. The car park was full, leading me to believe it was a big crowd. Alas it wasn’t. The car park also served the children’s playground, a skateboard park and numerous dog walkers. The ground sits at the base of a steep hill, which offers uninterrupted views of the game from a TV-gantry height free of charge. No wonder it was so popular with the dog walkers, who would all volunteer to take the canines out on a Saturday afternoon. I made my way initially around the ground, getting a view from all vantage points. For clubs with such a small supporter base it must be frustrating to have spectators who essentially have a free ride whenever they are at home. The first half was a tight, scrappy affair. These two had come into the game propping up the table. Both had awful home records, mustering just three points between them from their seventeen home games this season. So the money would have surely been on a draw and judging by the first period anyone’s bets (but not mine remember) would be safe. After a flurry of first half yellow cards the second half was a much more sedate affair. With the moon lighting up a cloudless sky and the temperature dropping quickly Sevenoaks looked more eager for the win and made a significant change in the 74th minute when George Savage was brought on. His first impact on the game? Running into the area and being brought down by the keeper. His second? Getting up and slotting the spot kick home. Not a bad start for the youngster. So three points for the home side lift them out of the relegation zone and I could make my way home happy with a couple of games under my belt on a Bank Holiday. Beats B & Q anyday.